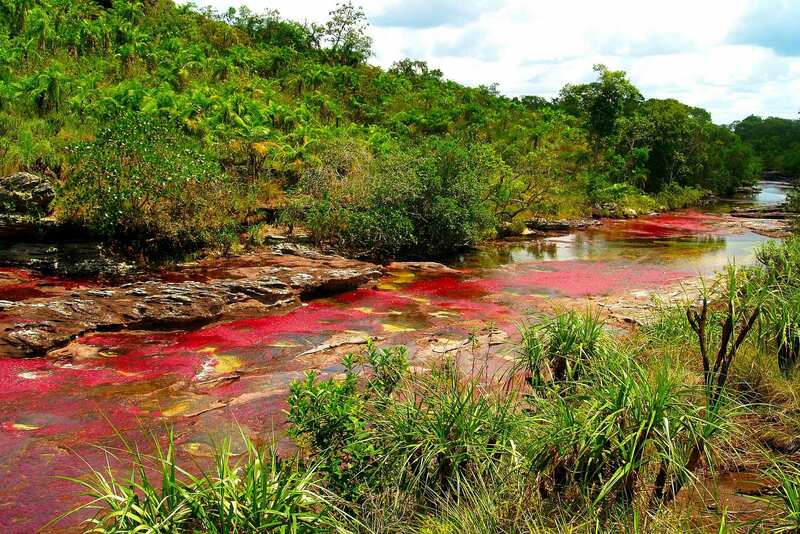 Caño Cristales Tour, (aka the most beautiful river in the world) is an exceptional and surprising natural beauty. 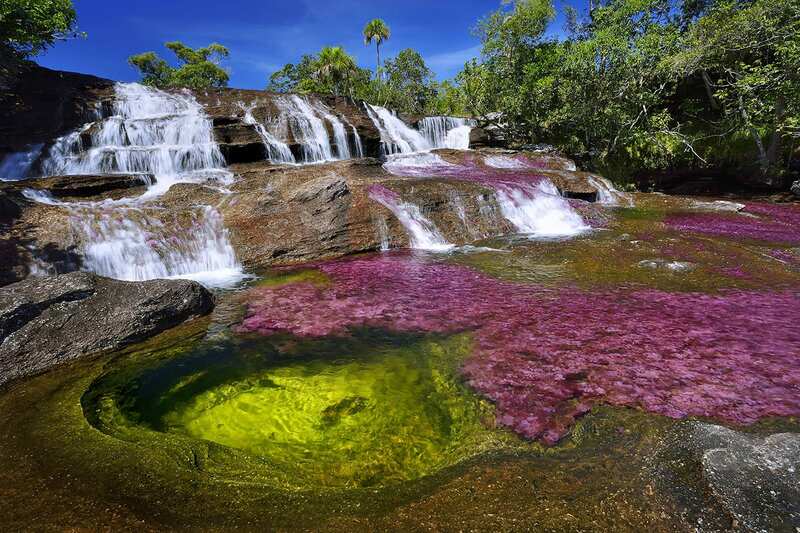 Its unique ecosystem is very fragile and now belongs to the Sierra de la Macarena Natural National Park. Mandatory Information session with National Park Sierra de la Macarena (video and talk with park representative). Here you will receive all passes needed for the parks. Please note that La Macarena is a very remote Amazon town and while comfortable, accommodations come with only the basic amenities. Most do not have hot water. Lunch at the river. 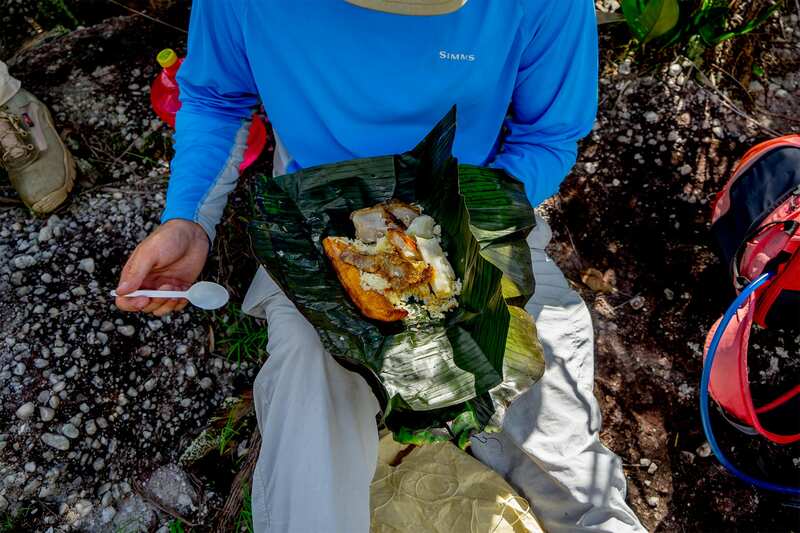 In an effort to preserve the natural beauty of the parks, all lunches are packed in banana leaves to prevent any trash from ending up in the parks. Launch from La Macarena boat ramp for a 30 minute boat ride. 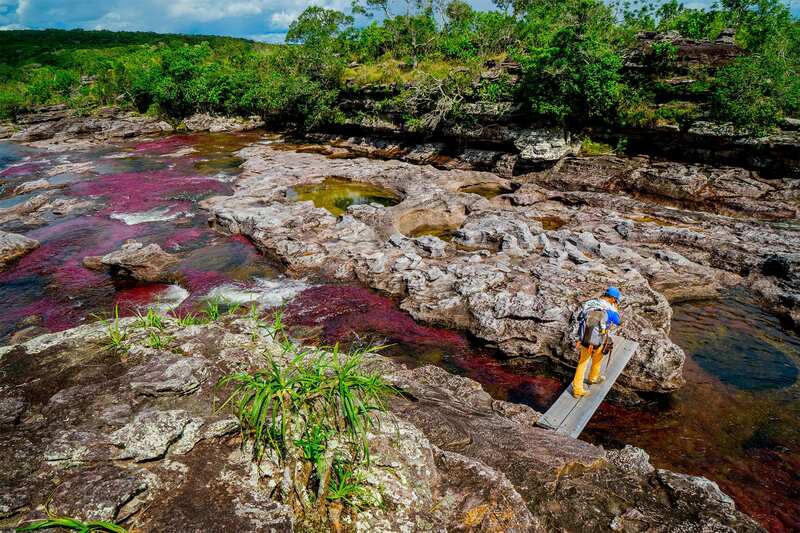 1-2 hr walk from Caño Cajuche to Caño Cristales. Your route through the park is assigned the morning of your trip by Cormacarena and the National Park. While the park admits up to 350 people per day, you will most likely see no more than 20 people due to these planned trails. All routes will end at Los Ochos or "The 8s" which is considered the most picturesque location throughout the park. 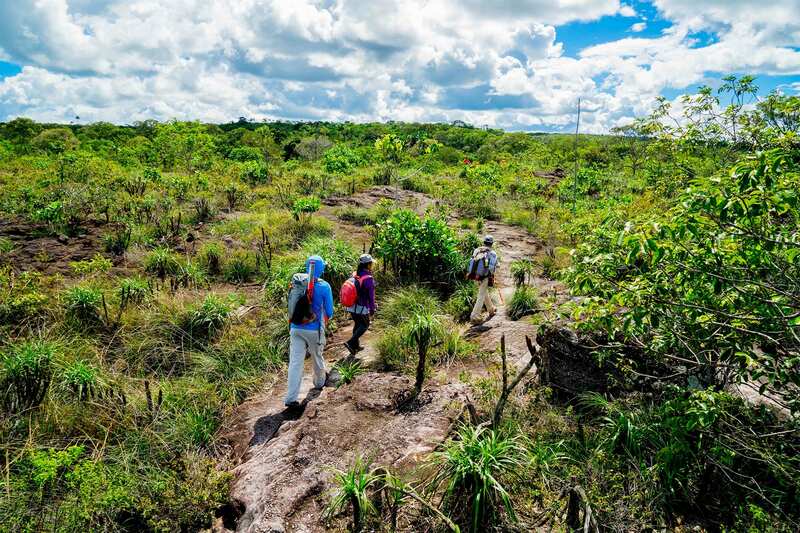 Enjoy hiking and exploring for around 6 hours. While this will include many breaks for pictures and swimming, it is often very hot so please bring an ample supply of water. 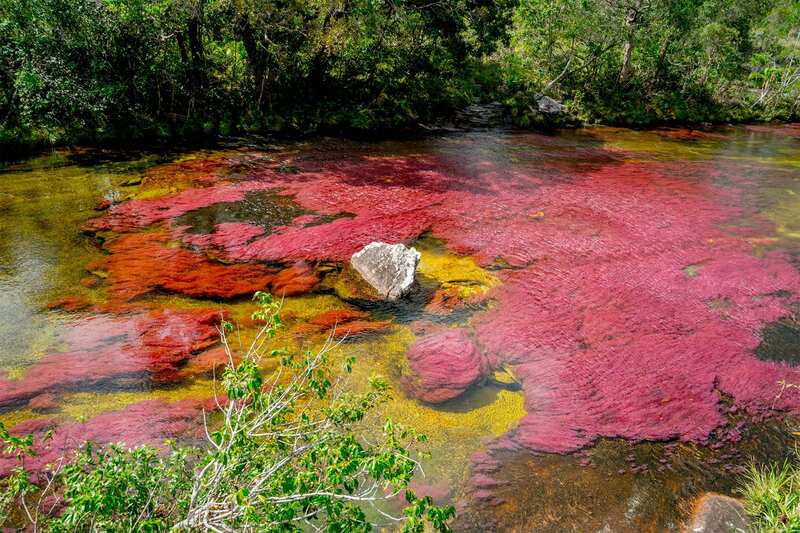 Following you day spent at Caño Cristales you will be picked up on horseback for an evening at Silent Lake. 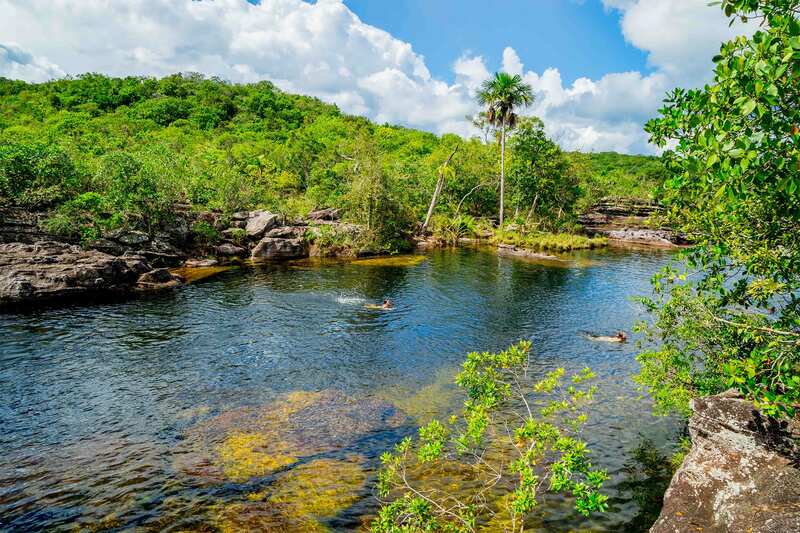 Enjoy a horseback ride through the amazing La Macarena jungle to your overnight accommodation at Silent Lake. Explore that evening with a canoe ride around the lake, and enjoy the company of your new family! Rest at your hotel and meet for dinner with your guide. There is often salsa dancing each night at a locals house. Be sure to ask you guide about this if you would like to join in the fun! 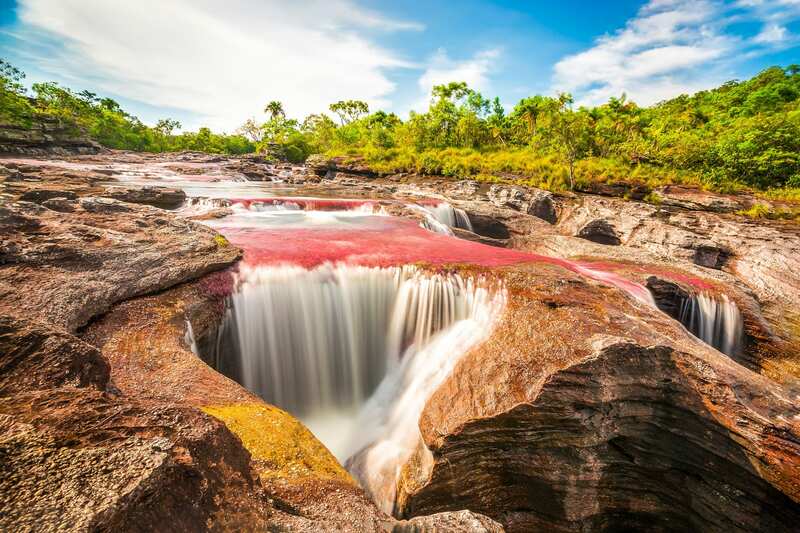 You will enjoy a early breakfast with your local family, before heading off on a horseback ride back to Caño Cristales where you will explore another section of the river than the day before. 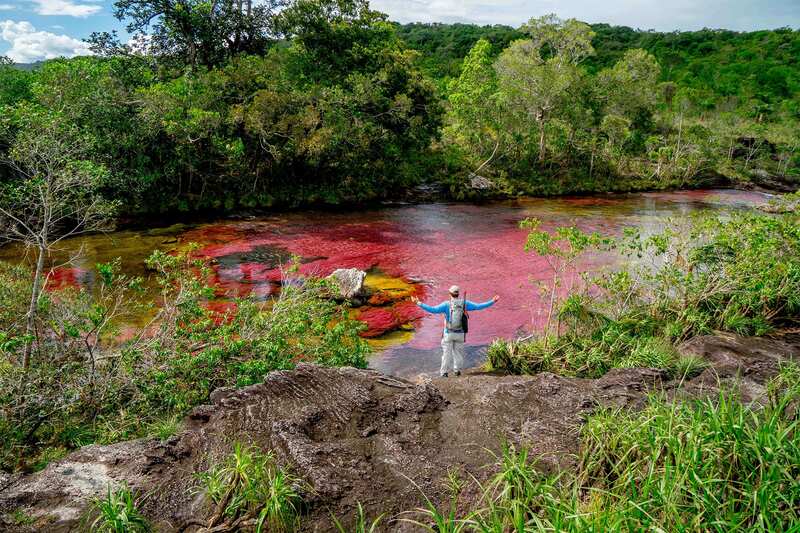 This is an amazing opportunity to visit another branch of the colorful river, and provides you a second chance to view the river in case bad weather was experienced the day prior. Arrive at La Ciudad de Piedra or City of Stone. Here you will be able to see Pre-Colombian rock carvings and paintings. 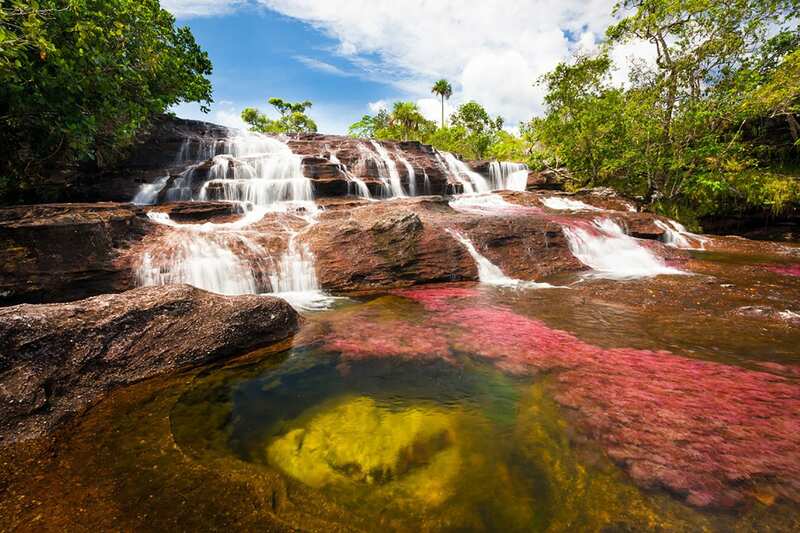 Your guide will educate you on the history of the indigenous tribes and unique rock formations. Return to Bogota. Flight out between 10am and 2 pm depending on availability and flight schedule that day. (Lunch included if you have an afternoon flight.